At the present moment, the universe is readily approaching its 14 billionth birthday (current estimates put its age between 13.7 and 13.8 billion years old). In an interesting twist of fate, the laws that govern our universe make it possible for us to peer back at pivotal moments in its evolution, leading all the way back to the first epochs in history. As they say, telescopes are time machines that allow us to study distant, far-off light that left young stars and galaxies billions of years ago. Now, A team led by astronomers from the Max Planck Institute for Astronomy has created the first three-dimensional map of a section of the universe 10.8 billion light years away, when the universe was only a quarter of its current age. This map, built from data collected from the W. M. Keck Observatory, is millions of light-years across and provides a tantalizing glimpse of large structures in the ‘cosmic web’ – the backbone of cosmic structure. On the largest scales, matter in the Universe is arranged in a network of filamentary structures known as the “cosmic web”, spanning hundreds of millions of light-years. Dark matter forms the backbone of this web, which is also suffused with primordial hydrogen gas left over from the Big Bang. Galaxies like our own Milky Way are embedded inside this web, but fill only a tiny fraction of its volume. Scientists created a new technique to do this, which allowed them to see the cosmic web nearly 11 billion light years away, when the Universe was younger. Using the light from distant galaxies to act as background light for hydrogen gas, they were able to create a map at a higher resolution than ever before. Although this technique was once thought impossible, at least with modern telescopes, this team found out otherwise. 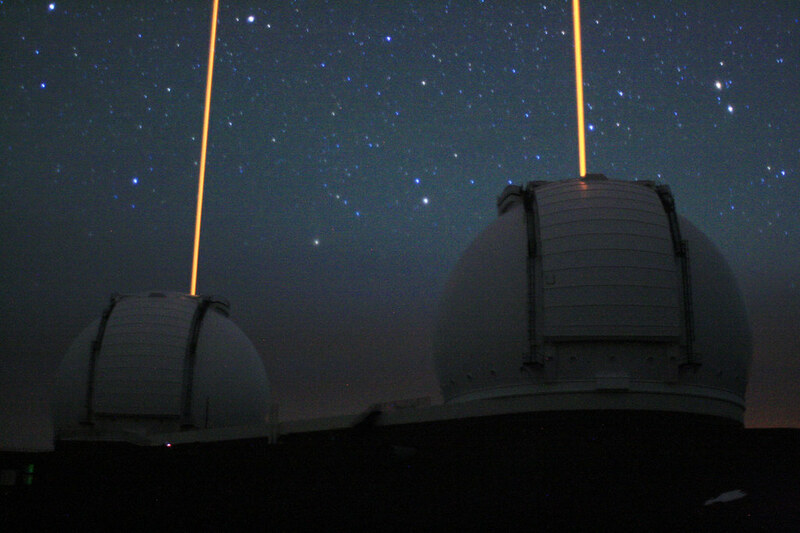 “I was surprised to find that existing large telescopes should already be able to collect sufficient light from these faint galaxies to map the foreground absorption, albeit at a lower resolution than would be feasible with future telescopes,” says Khee-Gan Lee, a post-doc at the Max Planck Institute for Astronomy. Although bad weather limited the astronomers to observing for only 4 hours, the data they collected with the LRIS instrument was completely unprecedented. “We were pretty disappointed as the weather was terrible and we only managed to collect a few hours of good data. But judging by the data quality as it came off the telescope, it was clear to me that the experiment was going to work,” said Max Plank’s Joseph Hennawi. 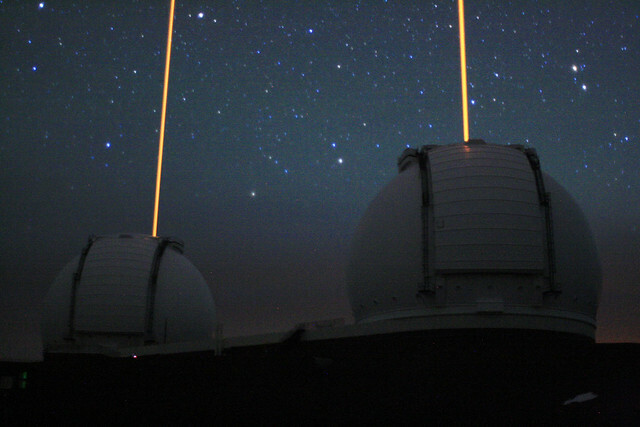 “The data were obtained using the LRIS spectrograph on the Keck I telescope,” Lee said. Since observing to such immense distances is also looking back in time, the map reveals the early stages of cosmic structure formation when the universe was only a quarter of its current age, during an era when the galaxies were undergoing a major ‘growth spurt’.